This Family Ticket is a general admission ticket for 2 x adults and 2 x children to Cambridge Club 2019 on June 16th, 12 PM - 9 PM. All who wish to be a part of this ticket must be present upon arrival at the festival gates for this ticket to be valid. Royal Cambridge Hotel is located on the edge of the city centre and with an on-site car park, just a 5-minute walk from the historic Cambridge University Colleges, 200 m from the Fitzwilliam Museum. The Grand Arcade Shopping Centre is a 10-minute walk, and the lively market square is just half a kilometer away. Amenities include a lounge bar, as well as wedding and conference facilities. 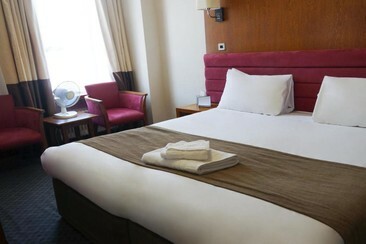 All 57 en-suite rooms have a satellite TV, work desk and Wi-Fi access. Some rooms have a seating area, while all have a private bathroom and tea/coffee facilities. Guests can enjoy fresh coffees and light snacks in the spacious bar, and continental breakfasts are available daily. 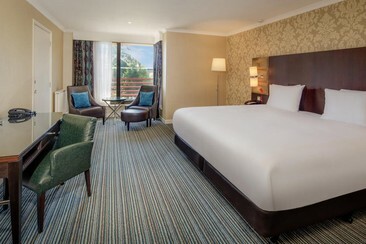 Located in the lovely area of Cambridge City Center, DoubleTree by Hilton Cambridge City Centre is an excellent base for exploring the attractions and landmarks of this historic city. You can hire a punt and sail along the River Cam, or visit the world-famous colleges of Cambridge University. King’s College Chapel is a large, ornate building nearly 500 years old and features masterpieces of stained-glass art. Shop in the city centre, which is packed with boutiques and designer stores. The rooms at the Doubletree by Hilton feature television LCD/plasma screen, Wi-Fi access, non-smoking rooms, air conditioning, heating. 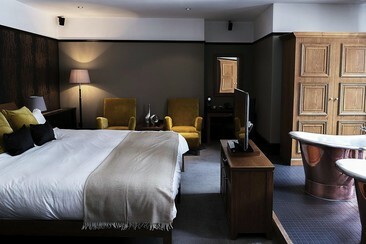 Hotel du Vin & Bistro Cambridge is located along Trumpington Street in Cambridge. The hotel was lovingly converted from old University buildings. From here, guests can visit Sedgwick Museum of Earth Sciences, King’s College, St Catherine’s College, Virtual Aviation (flight simulation facility at Cambridge Airport), and Cuckoo Boutique – a leading retailer of women’s fashion wear. The rooms and suites at this hotel feature plasma TV, free Wi-Fi, air conditioning, private bathroom with deep bath and powerful drench shower, Egyptian linen, minibar and coffee/tea maker.